Bank of America agreed to pay $335 million to resolve allegations that its Countrywide unit engaged in a widespread pattern of discrimination against qualified African-American and Hispanic borrowers on home loans. The settlement with the U.S. Justice Department was filed Tuesday with the Central District court of California and is subject to court approval. The DOJ says it's the largest settlement in history over residential fair lending practices. According to the DOJ's complaint, Countrywide charged over 200,000 African-American and Hispanic borrowers higher fees and interest rates than non-Hispanic white borrowers with a similar credit profile. The complaint says that these borrowers were charged higher fees and rates because of their race or national origin rather than any other objective criteria. "These institutions should make judgments based on applicants' creditworthiness, not on the color of their skin," said Attorney General Eric Holder. "With today's settlement, the federal government will ensure that the more than 200,000 African-American and Hispanic borrowers who were discriminated against by Countrywide will be entitled to compensation." 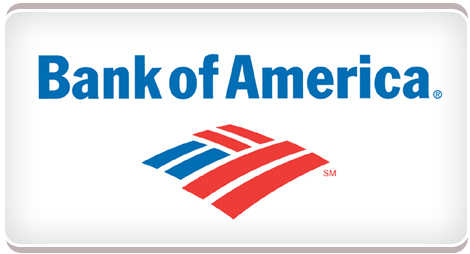 Charlotte, N.C.-based Bank of America Corp. bought the nation's largest subprime lender, Countrywide Financial Corp., in 2008. Dan Frahm, a Bank of America spokesman, said in a statement that the bank does not practice lending based on race. "We discontinued Countrywide products and practices that were not in keeping with our commitment and will continue to resolve and put behind us the remaining Countrywide issues," Frahm said. The United States' complaint says that Countrywide was aware that the fees and interest rates that its loan officers were charging discriminated against African-American and Hispanic borrowers, but failed to impose meaningful limits or guidelines to stop it. By steering borrowers into subprime loans from 2004 to 2007, the complaint alleges, Countrywide harmed those qualified African-American and Hispanic borrowers. Subprime loans generally carried costlier terms, such as prepayment penalties and significantly higher adjustable interest rates that increased suddenly after two or three years, making the payments unaffordable and leaving the borrowers at a much higher risk of foreclosure. "Countrywide's actions contributed to the housing crisis, hurt entire communities, and denied families access to the American dream," said Thomas E. Perez, Assistant Attorney General for the Civil Rights Division. The settlement amount will be used to compensate victims of Countrywide's discriminatory mortgage loans from 2004 through 2007, when Countrywide originated millions of residential mortgage loans as the nation's largest single-family mortgage lenders.